It’s the last chance for critically ill patients: if one’s own pump fails, only a stranger’s heart can help. In Germany, 318 people were transplanted a donor heart last year. The operation is today one of the standard procedures of cardiac surgery. 50 years ago, on February 13, 1969, a foreign heart was implanted in a human being for the first time in Germany. The patient did not survive long. It was a milestone in the history of medicine when, in December 1967, the heart of the South African Herzchirurchen Christiaan Barnard was transplanted for the first time worldwide. 430 days later, surgeons transplanted a heart in Germany for the first time in Munich. However, the 36-year-old patient survived only 27 hours with the foreign organ. The donor heart was damaged by pre-existing conditions, which was not foreseeable with the medical knowledge of the time. Worldwide, around 300 transplants were made until the 1980s, but the success was moderate due to the rejection reactions. “The first heart transplants triggered a wave of organ transplants, all of which were not successful in the long term,” confirms Wolfgang Harringer, President of the German Society of Thoracic and Cardiovascular Surgery. Only further knowledge about the human immune system and its better understanding of the rejection reaction brought the breakthrough – and the patients significantly higher chances of survival. The discovery of the anticonvulsant drug cyclosporin A from the fungus Cyclosporium opened up new possibilities for heart transplantation in the early 1980s. According to the German Heart Center Munich, the one-year survival rate for heart transplants suddenly increased from 30 to 80 percent following the introduction of the drug. An alien heart is the last resort for patients when their own heart is too weak or failing, and other options such as medications, pacemakers or mechanical pumps are no longer helpful. One of the most common causes is cardiomyopathy, a heart muscle disease that causes heart failure. Heart valve defects or congenital heart defects may also require a transplant. Artificial hearts are usually used only to bridge the waiting time for a donor organ. In Germany, 318 donor hearts were transplanted last year – at least more than in previous years – but still too few. 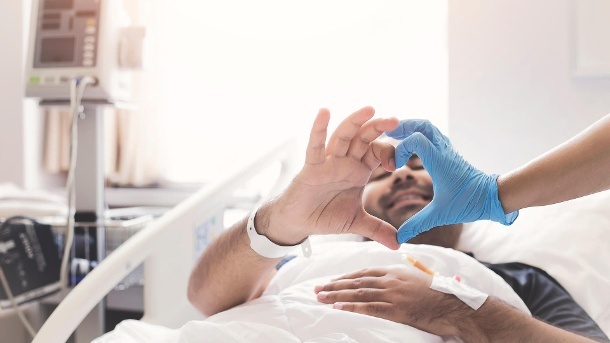 At the end of 2018, according to the German Foundation for Organ Transplantation, 719 patients were on the waiting list for a donor heart. Some of the people waiting are taken off the list because they are simply too ill, many patients die before a possible transplant. In 2017, 117 patients died on the waiting list. According to the German Heart Foundation, today some transplant centers even accept “borderline organ donors” due to lack of organs, for example with nicotine consumption or high blood pressure. With them, a cardiac catheterization clarifies whether the condition of the organ allows transplantation. Since 1969, more than 12,700 hearts have been transplanted in Germany. Patients must take drugs for life, which should prevent rejection. This can have side effects like weight gain, hair loss or osteoporosis. Despite the complications, most of the transplanted but much more powerful and have the joy of life again. After five years, 60 to 70 percent of foreign hearts beat, after ten years, around 40 to 50 percent of recipients still live. Some even live with a donor heart for decades. Another therapy for incurable heart failure does not exist until today.